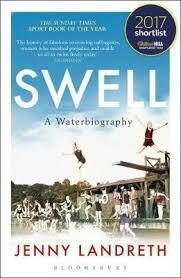 “Swell” provides an interesting account of the history of swimming in the UK in a very readable style with some fun personal anecdotes that many people will relate to. 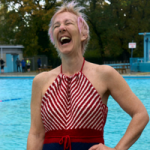 I love social history and was fascinated to read how swimming in the UK has changed and developed throughout the last century and about the women whose love of water encouraged them to pioneer for change, making swimming accessible as a pastime for all today. However, it is Jenny’s personal swimming history, her waterbiography, dotted throughout the book, that was the real winner for me. 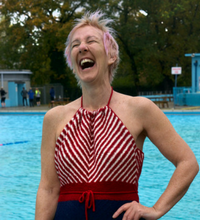 Her experiences are, I think, typical of those of many of us who grew up in the 70s and 80s: being taught to swim for survival in cold council run pools as a child turns into lengths of head-up breast stroke for fitness and pleasure as a young adult and finally morphs into learning to feel the joy and comfort of swimming with your face underwater. As I read I was reminded of my own love of the water and how my swimming and understanding has developed and changed over the years. Jenny herself is now an avid, no wetsuit, cold water swimmer, something I’ve not quite managed to become yet, but she did inspire me to go diving last weekend! 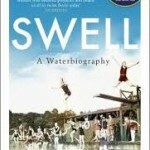 A recommended read for anyone, water lover or not. This entry was posted in Uncategorized on April 9, 2018 by swimwithease.